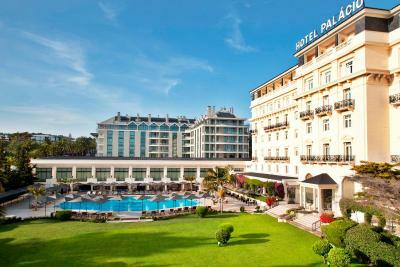 Lock in a great price for Palacio Estoril Hotel Golf & Spa – rated 9.3 by recent guests! Amazing staff, makes you feel very welcome. A very atmospheric bar with again great staff. I would come again! The hotel, staff, and facilities are all wonderful. There is great attention to detail in every corner and service performed. I loved everything about the hotel and staff. Wonderful hotel, staff and management. Palacio take you make in history with royalty, it’s magical. Location, staff, property, pool, breakfast, food....1st class. Good service from the entire staff, since arrival to departure. While difficult to find the main entrance from what appears to be the rear of the hotel, the location is in a good spot once you get there. There was nothing to say negative about this hotel. Met all our needs. 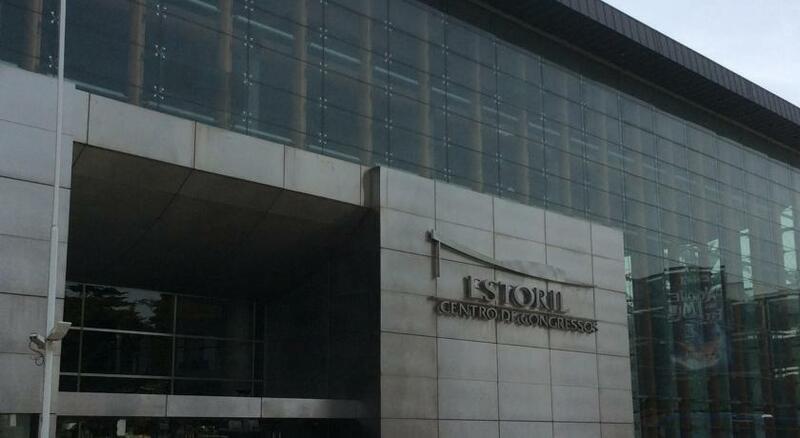 Was a great week in Estoril. Excellent room service, delicious food and fresh swimming pool as drinking water. The staff was extremely helpful. The room was lovely. The location was great. On rainy days the use of the spa and pool was perfect. The staff were excellent. The breakfast also was excellent. It is a very beautiful hotel. The staff are extremely helpful and made us feel very special while we stayed there. Id highly recommend this hotel. The golf course is also great fun we really enjoyed it, and we were only beginners at golf. 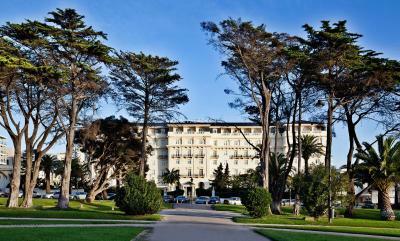 The spa is lovely also for relaxation.I definately would stay in this hotel again, when visiting estoril. Its stunning . Its right beside the casino , and that comes alive at nighttime, also another venue everyone should see when visiting and of course the beautiful beaches which are across from hotel. This hotel also is walking distance from train station. The food in the hotel restaurant(four seasons) is gorgeous and the staff are lovely too. 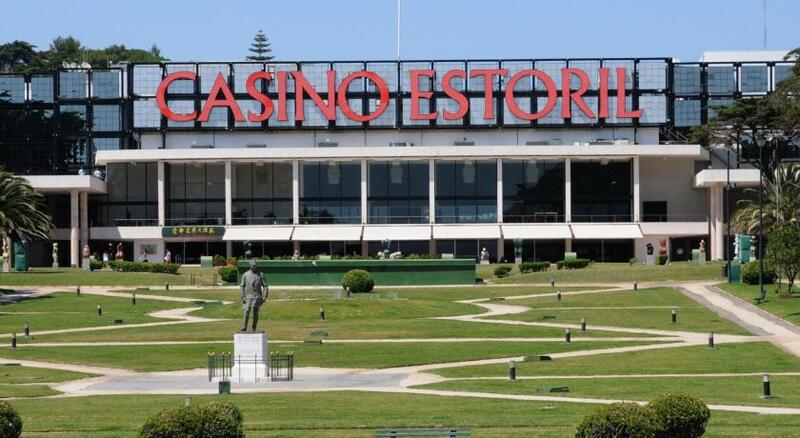 Palacio Estoril Hotel Golf & Spa This rating is a reflection of how the property compares to the industry standard when it comes to price, facilities and services available. It's based on a self-evaluation by the property. Use this rating to help choose your stay! 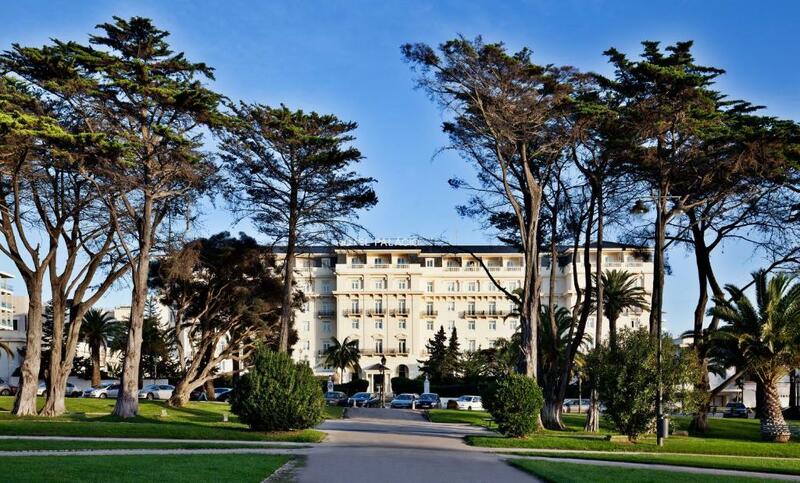 The 5-star Palácio Estoril offers opulent interiors set in lush gardens with a golf course. 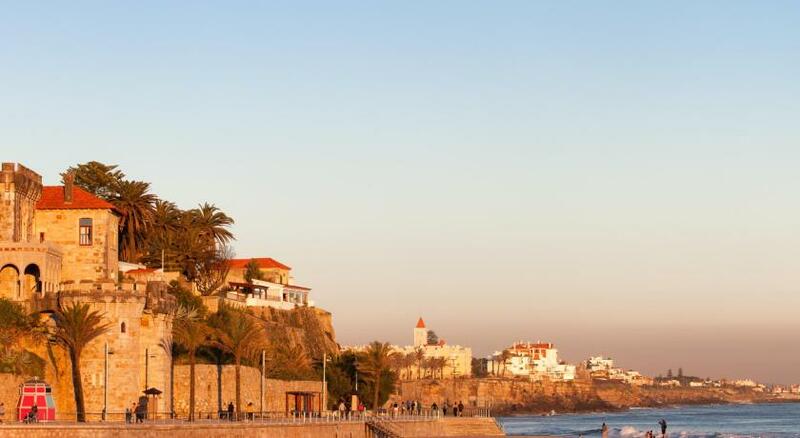 Just 650 feet from Congress Estoril Center and from the Atlantic Ocean, it has 4 dining outlets and an Asian-inspired spa. 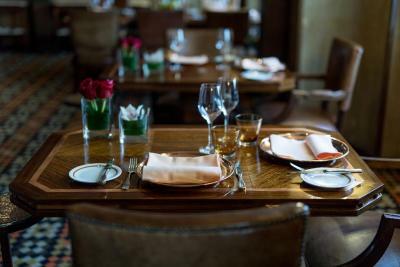 The Grill Four Seasons offers a selection of Portuguese and international specialties in a sophisticated atmosphere. Guests can also dine in style on the Bougainvillea Terrace. Bar Estoril was a favorite hang-out for spies during World War II. Today the Bar Estoril offers a charming, classical atmosphere where guests can enjoy a pleasant drink overlooking the poolside gardens. Palácio Estoril Hotel Golf & Spa has a sauna and Turkish bath. Massage and beauty sessions are available at the Banyan Tree Spa and Estoril Wellness Center. Guests enjoy complimentary access to the Banyan Tree Spa's indoor pool, hot tub and Turkish Bath. 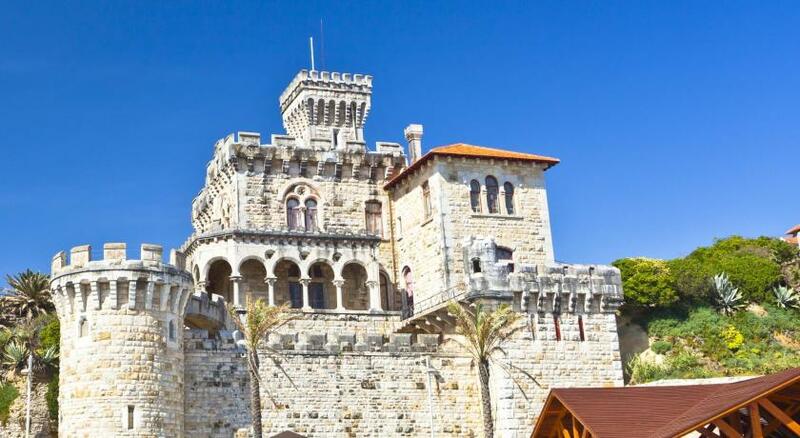 This property also has one of the top-rated locations in Estoril! Guests are happier about it compared to other properties in the area. 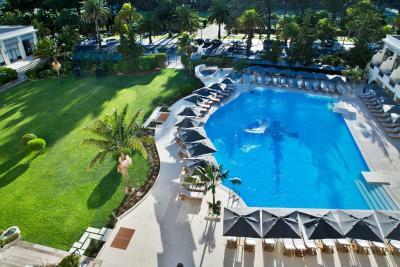 When would you like to stay at Palacio Estoril Hotel Golf & Spa? Classic yet contemporary rooms overlooking Estoril. They have marble bathrooms with either shower or bathtub. 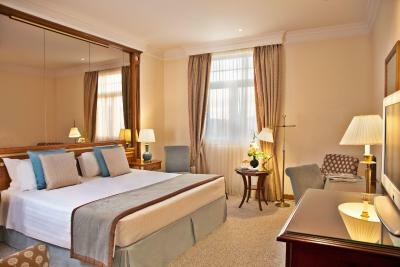 Located in the garden wing, this suite includes a bedroom on the second floor and sitting room on the first floor. The sunny terrace overlooks the grounds and pool. This classic suite includes a separate living room and marble bathroom. Features a contemporary decor. Some rooms have a small balcony. Some bathrooms include separate bathtub and shower. Features a luxury decor with rich fabrics and a separate sitting room with sofa and armchairs. 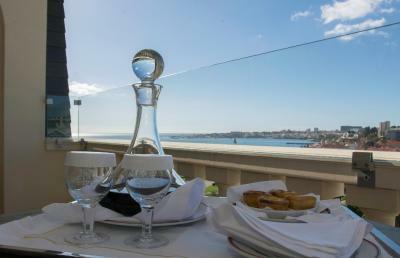 Most suites have balconies overlooking the hotel grounds and Estoril. Those on the upper floors have sea views. Features elegant, luxury fabrics. Includes a large sitting room with sofa, armchairs and coffee table. These suites may include a connecting bedroom. 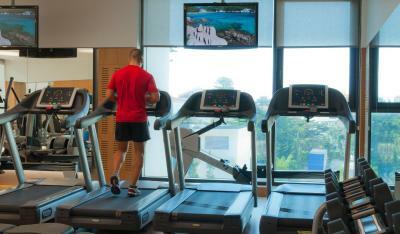 On the upper floors, it includes a balcony with views of the gardens, Estoril Park and Cascais Bay. It features a luxury modern decor. 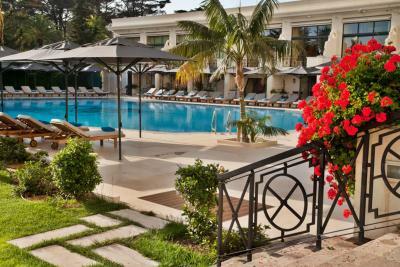 Luxury is the main feature of the sumptuous 5-star Palácio Estoril Hotel Golf & Spa. 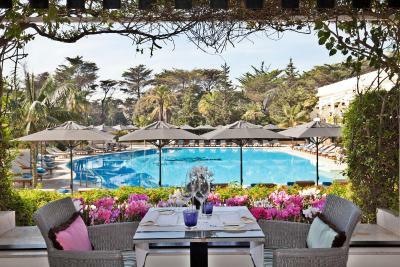 Among its more distinguished features are the Asian-style spa, the Grill Four Seasons restaurant and the charming Bar Estoril, which overlooks the garden and the swimming pool. House Rules Palacio Estoril Hotel Golf & Spa takes special requests – add in the next step! All older children or adults are charged EUR 63 per person per night for extra beds. Debit card Palacio Estoril Hotel Golf &amp; Spa accepts these cards and reserves the right to temporarily hold an amount prior to arrival. Palacio Estoril Hotel Golf & Spa accepts these cards and reserves the right to temporarily hold an amount prior to arrival. Please note that for NR rates, it is mandatory to fill the link from UNICRE sent by the hotel's reservation department. This is the only way to ensure that the payment is done. Please note that the Banyan Tree's indoor pool, hot tub and Turkish Bath. are not suitable for children under 16 years old. Children from 12 to 16 are only allowed if accompanied by an adult. The design, breakfast, the bar and garden, spa area. like it a lot. Keep returning. Breakfast, staff readiness, excellent location, view from the room to the swimming pool. We did not have a sea view, there are probably some sea views from higher floors (we were on the first floor) but we had a very pleasant and relaxing view over the pool and garden. This was however of very minor concern to us, the overall experience was very positive and we will definitely be back! Beautiful comfortable room overlooking the pool, very good bathroom , excellent breakfast in beautiful surroundings, very helpful and very professional staff. Magnificent old building, the reception area and the function rooms are particularly appealing. One of our best hotel experiences of recent times. The staff was clueless on how to operated a 5 star hotel. There was trash around the pool. Ash trays were not emptied for days. You had to ask for things when it should have been obvious to the staff to provide it. It was good weather and the pool was not serviced. Lounge chairs and umbrellas were not available you had to ask for them. I saw many people sitting uncomfortably on wood chairs. I loved the hotel and the location. 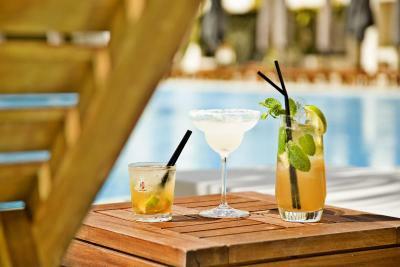 The personnel was very slow,not responsive,takes an hour to get a cofee or a drink if you are outside on the terrace. Excellent Hotel. Very comfortable. The room was big and cozy. The staff was very helpful. The inside pool is the best I have ever been to. The inner pool was closed for maintenance exactly the few days I was there, but this is a plus too: the hotel cleans the inner pool. Very nice hotel. It is big but very well designed cause in all common spaces there's a lot of privacy. The restaurant menu specifies the content of proteins, carbs, etc very useful for people with dietary restrictions (real issues not hipsters). The stuff is very helpful at all hours. Rooms are not only pretty but also as warm as you want them in winter. When using de bidé, there was wather all over on the floor; When we left the hotel, there was no helping hands to take our luggage..... but I saw people giving money and immediately there were someone helping........... Bad. I liked the surprise of havind a cake with Porto's wine and a birthday cake the next morning! Disappointed with meal in Grill Four Seasons restaurant. Not up to it’s usual standard. Maybe due to a busy xmas eve rush. Service, staff professional and friendly.